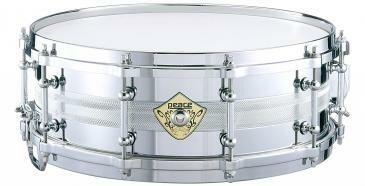 Peace’s new Batterie Custom Cast line is the result of cutting edge advances im drum manufacturing technology. 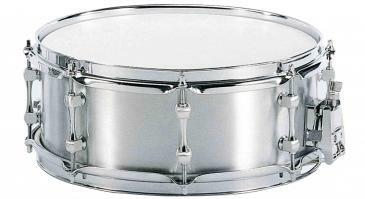 The process by which these drums are made starts with a 12mm thick shell cast from solid aluminum or phosphor bronze. A computer controlled lathing system is then employed to insure that an even, flawless shell is produced. The end result is a seamless, 5mm thick shell made of high-grade precious metal. 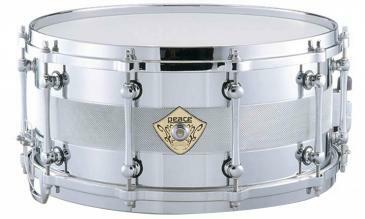 The Custom Cast Aluminum Snare’s bright attack is perfect for high volume sensitivity, while the Phosphor Bronze model delivers a warm voicing previously found only in wood shell snares. 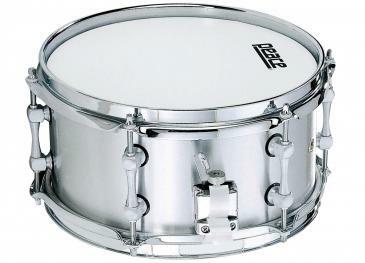 Fitted standard with tube style lugs and die-cast hoops, Custom Cast snares produce a solid blend of thick shell volume and steel shell sensitivity perfect for any situation. 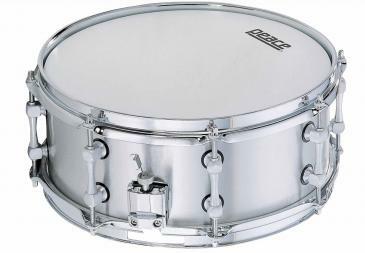 Sure, you might think that the new Foundry Series, 5.5"X14" would be as shrill and piercing as a gunshot. Suprisingly enough, however, the beefiness of the 5mm shell sings right in the center of the tonal spectrum. Exploding with power and just enough bright intensity, this drum represents the perfact balance between bright attack and well-rounded control. Erupting like the bellow of cannon fire, the extra deep Foundry Series 6.5"x14"snare captures the enormity of concert stadium greatness. Forged to open wide with ear-splitting accuracy, the drum rings out with unhinged aggression when struck in the sweet-spot, but can be reduced to a whisper at the slightest touch.